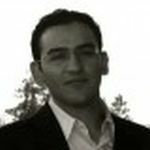 Abdel is a software developer and technology enthusiast at heart and by profession. Particularly interested in large distributed systems and enterprise software architecture in general. An active open-source advocate and contributor. President and Founder of a number of organizations namely The NorCal Java User Group, and The Silicon Valley Dart Meetup. Abdel is a JavaOne RockStar and a frequent speaker at a number of developer conferences including JavaOne, JAX Conf, OsCon, OREDEV, 33rd Degree and many user groups and community events.